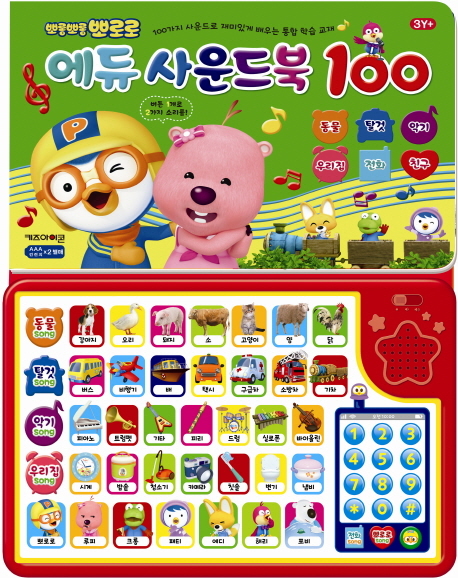 This soundbook has 100 different sounds. 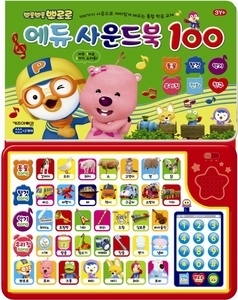 Included categories are animals, transportation vehicles, instruments, and “My Home,” and a telephone keypad (Pororo theme song can be found on phone keypad). The sound panel is attached to the bottom of an 18- page picture book.